Mrs. Colin Campbell would not be ousted from her home: she is standing on the roof of her back porch, after climbing out a second story window. The water is about 4 feet away from covering her feet, but she was non-plussed; in the accompanying article, she defied police attempts to evacuate her, declaring it was a good time to catch up on her embroidery. 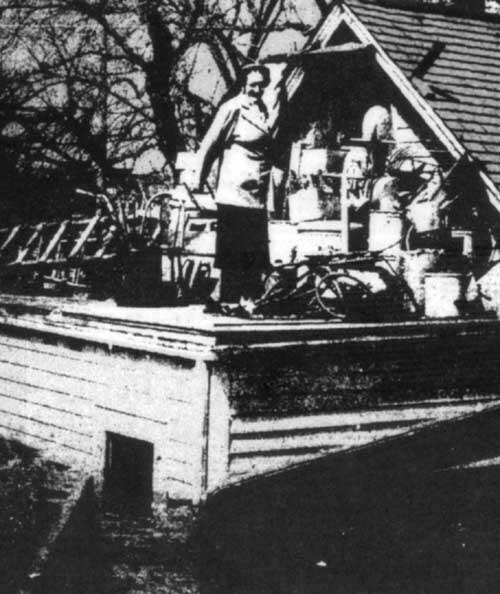 On April 16, 1952, the Red River crested at around 35 feet; a USGS paper declared it the highest crest since 1897. 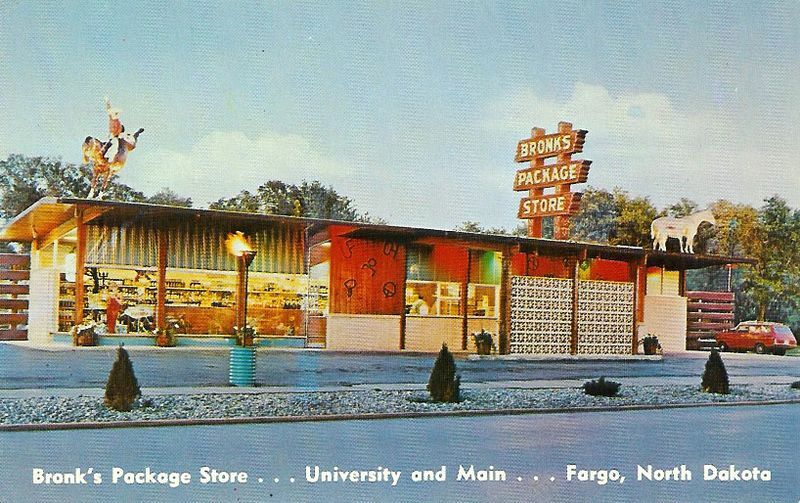 Her address, 106 1st Avenue South, no longer exists; Urban Renewal wisely razed the neighborhood south of Main and east of 4th street, which was regularly subject to inundation even in light flood years. In April, 1969, the Red River of the North overflowed its banks, reaching 37.3 feet on the 15th, and expected to crest at 38 feet a few days later. 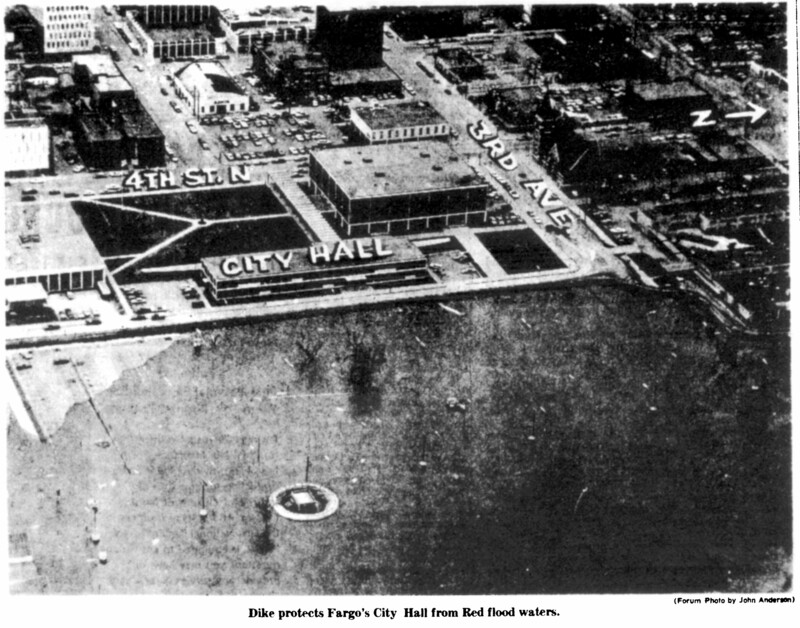 This aerial photo appeared on the front page of the Fargo Forum on the 15th, showing the dike's position in relation to saving city hall, the Civic Center, and the year-old library. 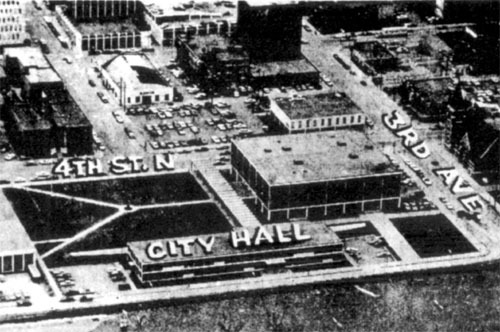 Today, the dike runs down 2nd street, atop the river bank, but in 1969, they let the swollen river cover the big parking lot, and ran the dike along 3rd street, just outside City Hall's front doors; the Town House hotel, at the far right in the big picture, looks on the verge of flooding, but safe enough. 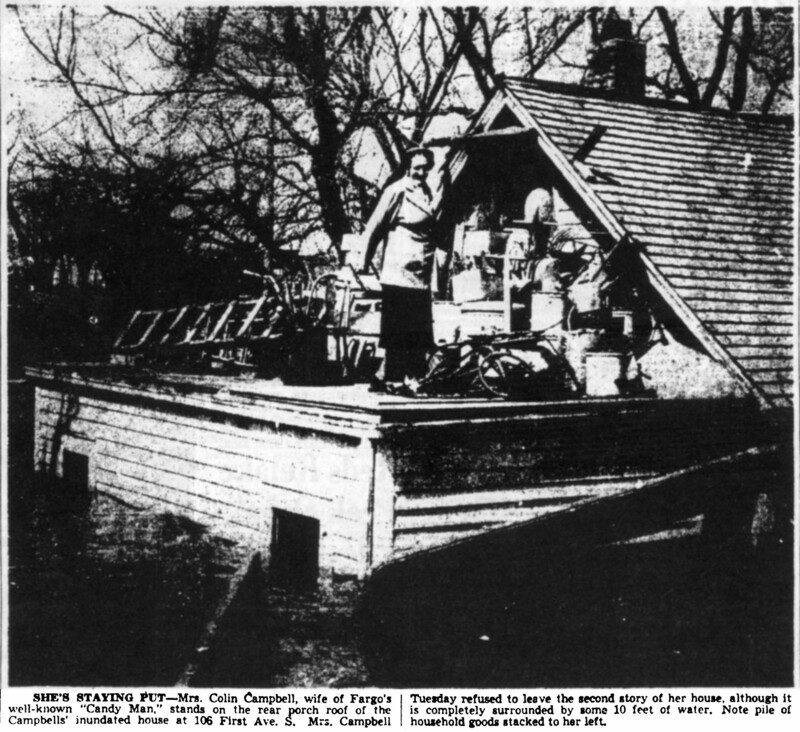 This funny little tin house is a throwback to an earlier time -- one before houses were automatically assigned a wide-open, roofed, cement-floored siamese twin known as a 'garage'. 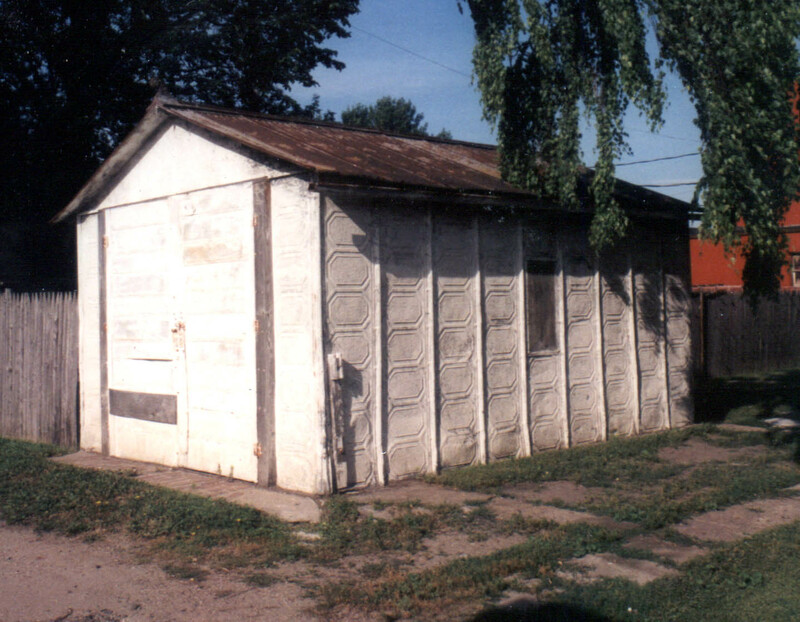 When people started buying cars they needed someplace to put them, and one of the competitors in the 'automobile storage kit' was the Rusk Auto-House, an overtly-fancy steel shed that owes its beauty to its Fargo-based manufacturer: a producer of embossed tin ceilings and copper cornices. Sadly, the metal shortages of the World Wars put an end to tin ceilings, copper cornices, and, as you might guess, stylish little steel car-homes.